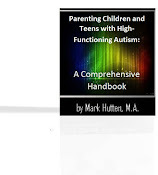 "My child with Aspergers (high functioning) still has trouble with transitions. Social stories don’t work that well for him. To get him to stop doing what he’s doing to get ready for bed (as just one example) is like pulling teeth. Help!" 1. 10-minute warning: Tell your youngster, "You’ve got 10 more minutes" (parent’s secret: unless your youngster is watching the clock or is a stickler for accuracy in this area, you can give this warning well before you actually only do have 10 more minutes). Let’s assume that your youngster is ignoring you at this point (e.g., he may be thinking he has plenty of time yet). 2. 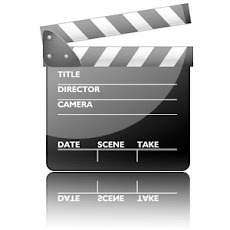 5-minute warning: About halfway into the 10-minute warning, say, "You’ve got 5 more minutes" (get at least an acknowledgment that your Aspie has received the message at this point). 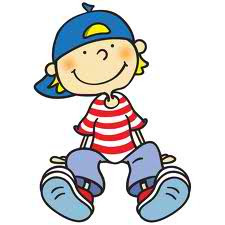 As Aspergers children often do, let’s assume that your youngster is still ‘dilly dallying’ around (i.e., taking his sweet time). 3. Warnings by the minute: Just as some snooze alarms get louder each time you hit the button, make your warnings more frequent at this point (e.g., give a 4-minute warning …3-minute …2-minute (parent’s secret: the countdown doesn't have to actually correspond to factual time; you can say, for example, that he only has 2-minutes left, but he may actually have 2 ½). In any event, let your youngster know that it's time to get organized for a change. 4. Warnings by the second: At this point, your youngster should be at least reluctantly moving toward change. Count down in 10-second increments at this point (e.g., you’ve got 50 seconds …40 …30 …and so on). 5. An extra 10-count: If your youngster is still goofing off, tell him he has a count of 10 to get with it. Then count up from 1 to 10. And move on. 6. This technique should work with those Aspies who have difficulty with motor planning and change. However, you will want to calibrate the amount of time used to your particular youngster's needs. The countdown described above is merely an example, and one that can be tailored according to the situation – and your child’s temperament. 7. A stopwatch or a timer can sometimes also be effective countdown tools. When choosing a timer, opt for one that will be most appropriate for your Aspie, and make sure that it is something that he will easily understand. While a digital timer may be an appropriate choice for older kids, this may not be well suited for younger ones. For younger kids who still do not have a concept of time, the hourglass timer usually works best – not only because it is more interesting, but also because it is easier to understand. Since younger kids may not know how long 3 minutes is, the hourglass timer gives them a visual of how long 3 minutes actually is. Before you use the timer, let your youngster know what the timer is for. Let him know that the timer keeps track of when he needs to switch activities (e.g., “When the timer goes off, it is time for you to stop playing your video game and get ready for bed.”). Explain it simply and use words that will make him understand. When using the timer, it is also important that you provide warning signals (e.g., ringing of a soft bell, gentle snapping of the fingers, etc.) when the time is almost over. This way, your youngster will be ready when the time runs out and will not feel surprised or rushed. The important thing is to be consistent and to always use the same warning signals. This way, it will become part of the routine. 1. Be consistent. Use the same warning time and words every time. This makes it easier for your Aspie to understand and adjust to the transitions. By knowing what the expectations are, he will transition easier. 2. Do as much as possible beforehand. Pick out clothes the night before, make sure his shoes are readily available, etc. 3. Evaluate situations that are difficult. If there is a particular situation that causes major problems during transitions, evaluate the circumstances surrounding the situations. For example, it could be that your Aspie doesn't want to do the next activity due to sensory issues or other problems. It could be that the schedule needs adjustment, or that other accommodations need to be in place. 4. Make sure all of the “extra activities” are taken care of beforehand. It is easier to get out the door when the Aspie can’t pause when it opens and exclaim, “I have to go to the bathroom!” Take care of those needs before you walk out the door. Do the same with food and drink. Better yet, bring a water bottle and a snack (one less excuse for your youngster to dawdle). 5. Make your youngster part of the team. Enlist his help in order to get out the door on time. Have a checklist and allow him to check off what gets done, or have him help load important items into the car if you are leaving. 7. Never underestimate the power of a good social story. If you’ve tried social stories, but they didn’t work, it may have just been a poorly applied story. Social stories are a wonderful tool for working with Aspergers children. The value of seeing his name in print with clear expectations will be golden for your Aspie. A social story is a simple story naming the youngster along with the story of what you want him to accomplish. 8. Respect your youngster’s need for a warning. When an Aspergers kid is engaged in an activity, it is very difficult for him to move on to the next activity. Teaching him how to transition takes patience and time on your part. By giving a warning, the youngster will have an easier time accepting transitions. 9. Teach your child to tell time. The sooner you do it, the easier it becomes for your Aspie to understand the passage of time and how it works. 10. Use rewards. When an Aspergers kid is engaged in an activity, sometimes it is difficult to get him to transition to a new activity. In order to help him, offer some incentive to change activities (e.g., a preferred food or item, a desired activity later in the day, etc.). • Anonymous said... I have those magnet ones, my iphone app I got works great too. We use them for night time routines usually now. I used to have one in each area of my home. • Anonymous said... I've learned that my son needs a "5 minute warning" before a transition (even if it's not a true five minutes). If I spring something on him, he wigs out. • Anonymous said... Just make sure the timer is a pleasing noise!! My son is now scared of timers because the load noise bothers him! The timer we used had a ringing noise and it actually caused more problem than the transition! • Anonymous said... My son is 5-1/2 and we use an hourglass timer. And also a picture to do list. Pictures of the activities in order is something he has really been able to follow and with the timer for each activity it really helps him feel like he can be prepared for what's next. • Anonymous said... The tricks depend on the age and what kinda kid. My son does better with "finish the chapter" than time as I think he's a bit OCD and really compulsive about finishing and saving (like in Minecraft--Roblox has been hugely frustrating for the lack of saving "all that work"). For recurring transitions, predictable "transition helpers" work for us. Like (pls don't blast me for the food thing) when we leave McD's after eating and playing, my kids get their dessert (a cookie) in the car. On the computer, we have been using Family Safety in Win8 to regulate time spent. I especially love that I can really customize the curfew settings by adding in 1/2 hr curfews for meals in addition to the whole time limit for the day. Most kids get really wrapped up and forget to eat. Good luck! • Anonymous said... There are great visual timer apps for the iPad and smart phones. They have worked well for my 4 -year-old daughter. She also has trouble with transitions. • Anonymous said... This is my son exactly!! Especially at dinner time. But not only is it a challenge to get him to the table, it's also a nightmare to get him to stay there. Or to do anything I ask of him really. • Anonymous said... We don't uses timers but I am thinking would be good to show some patience. Any meal time I have our 5 yr old help I incorporated his schooling time with cooking time. Now he is not a big eater so we are working on it. The more we do meal cooking really new stuff he will try a lil bit. That is a huge step. • Anonymous said... We set the oven timer and remind him every few minutes of how long he has until whatever it is we want him to do eg, pack his school bag, turn off the Wii, brush his teeth, come to the dinner table. It always works. We can never just spring something onto him...he is very literal and visual. • Anonymous said... we use a hand held cooking timer ($6 @ walmart) but try it out before buying because the bell/ringer can be too loud! We let our 5yr old son set it himself so he feels some control over what's going on. before beginning any activity, we let him know how much time is allowed for that event (10 min.) & when it's over, we will move on to the next activity (name it - bath time, dinner, etc.). he likes knowing what the upcoming activity is, but not more than that. At the 5 min. mark, I countdown each minute until the bell rings, he loves it! At 2 min. mark, I explain that he has 2 minutes left, but that the next activity (eating) will be great because (we're having his favorite dish). It helps make the transition smoother when he's down to the last minute. My son really likes a schedule, a time-table of events/activities, but has to be fore-warned when changing from each activity. • Anonymous said... Welcome to my life. I find that touching him and speaking directly works well. Calling from downstairs I do not reccommend unless you want to call atleast 10 times. When he is playing lego he is lost in his own world. These are moments where a meltdown is coming on fast, but can still be diverted. These are the times when moms and dads need “diversion tactics” (i.e., a supply of items and ideas that can fill a moment or turn a head). While diversion tactics come in handy with any youngster, it's particularly imperative for kids with an Autism Spectrum Disorder who are often significantly less able to amuse themselves, negotiate transitions, or avoid meltdowns. A parent needs to be quick, versatile, creative, and resourceful to keep things running smoothly. Planning ahead can help. 1. Your diversion tactics should do one of these (and preferably more than one): Soothe, Entertain, and Distract. 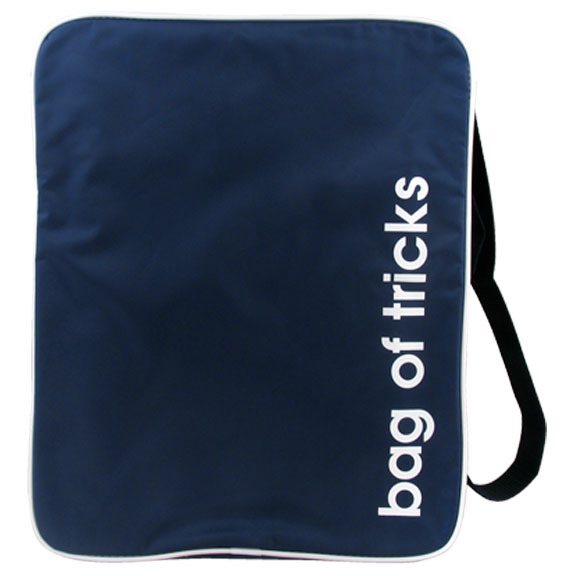 They must be deployable at a moment's notice, especially in stressful situations. The space of time between the need for soothing, entertainment and distraction, and the onset of complete disaster can be brutally short. • Hide something in fist -- guess which hand? • What color am I looking at? Putting together a good list of diversion tactics is one thing, maintaining it is another. As your ASD youngster gets older, changes interests, gets bored with some things and taken by others, you'll want to keep changing and replenishing the tactics in your "diversion kit." Remember, the objects don't have to be big, they don't have to be fancy, and they only have to be able to run your youngster past a bit of boredom, anxiety, or a little rough behavioral spot. But they do have to soothe, entertain, and distract. Note: If you only have a couple diversion tactics, they can fade with overuse. 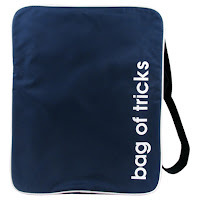 The more tactics you've got in your “bag of tricks,” the better. Some moms and dads worry that they could have done something to prevent their Aspergers youngster's problems. They also agonize over whether they could do more now. Some stress is to be expected. As long as you're sleeping and eating well, enjoying much of your day-to-day life, and finding support where you need it, your stress is probably not too overwhelming. 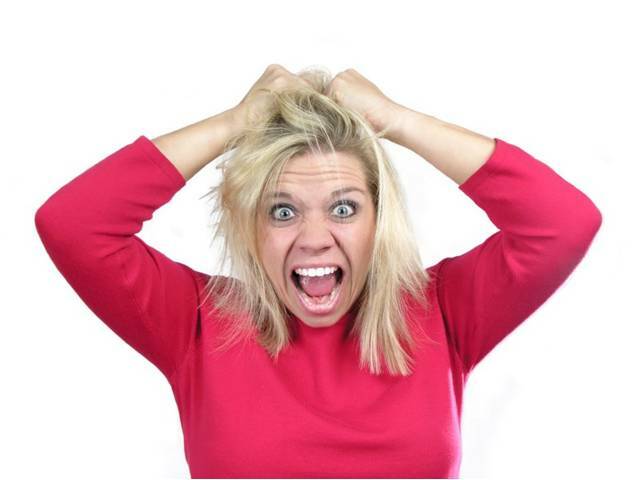 Are symptoms of stress impeding your functioning? Are you finding it hard to get through the day's activities? Are you having a hard time eating, sleeping, or getting up in the morning? If you're exhausted and overwhelmed on a regular basis, you're more susceptible to physical and mental disorders. You may need time and help to recharge your batteries and find coping mechanisms. And it's important to take action now for the future. After all, when you're the mother or father of an Aspergers youngster, you're in it for the long term. An experienced professional can help give you concrete ideas for finding time and space for yourself. He/she can also work with you to develop specific coping strategies. Changes in attitude can make a big difference, and there are many ways to work on your own feelings. It may also be helpful to have an appropriate time and place to let out pent-up frustration that's so often a part of coping with a youngster with an Autism Spectrum Disorder. It's important to find a psychologist, psychiatrist, or social worker who has specific experience in working with families affected by Aspergers. To find such a person, get in touch with local Aspergers support groups and ask for advice. Check out online databases. Ask your family doctor for suggestions, too. Some states offer a service called "mobile therapy." This program brings therapists into your home to work with you and your whole family. 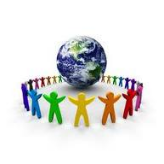 The main thing parents with an Aspergers youngster need to know is that they are not alone. There is help out there! Even if you are a single mom raising kids alone, there is help. It's up to the parent, however, to realize that it's not a sign of failure as a parent to need and accept help in caring for your Aspie. Discipline for an Aspergers youngster is often very different than the way you would discipline a neurotypical child. So a parent is often left feeling helpless and not knowing what to do, and feeling they have nowhere to turn in getting a break from parenting. In fact, a lot of moms and dads actually feel guilty for even wanting a break, let alone taking one. The idea of a few hours away from their youngster makes them feel as though they are failing him or her as a parent. For some reason, some parents feel that to parent their youngster, that means being around them and caring for them 24/7 without any outside help. Moms and dads need to take a break! Hire a competent babysitter, even a nurse if needed, get family to help, ask a friend for help! The point is this: get out of the house alone or with your spouse for a few hours and enjoy yourself. You can’t change any of the issues your youngster may have, but you can get a break. You can get out a few hours a week alone to unwind and you can get help to allow you to get that much needed break. There are no easy answers on how to raise a youngster with Aspergers. Every child is different, as is every parent in their parenting methods. But the stress level is invariably there. Handling the stress is necessary in order to provide good care not only for your youngster, but for yourself and the rest of the family as well. Many parents go through a difficult time when their youngster is first diagnosed. But after a year or two, most do learn to cope, enjoy their youngster's achievements and their own lives, and have fun. Aspergers children are special indeed – and we love our children very much. But we as moms and dads need to be able to unwind and relieve the stress so that we are better able to parent. Never feel guilty for needing to ask for help! Bottom line: If you're not the person you normally are, then that's a reason to get help, or at least consider that possibility. Getting Your Aspergers Child To Obey: The "Silent 30 Count"
When it comes to getting "typical" children to do what they're told, “3” seems to be the magic number in most cases. The success of your own mother or father in telling you when you were a kid “you’ve got until the count of 3 to hop to” may make you assume that if your child doesn't get moving in a similar time-frame, he’s being defiant. 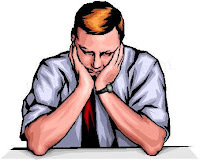 Stress management: Some Aspies find deadlines energizing, but others can become paralyzed by them. Anxiety caused by “deadline pressure” can take over your youngster and cause her to be unable to focus on the task at hand. Then, since she’s not doing what you want fast enough, you may become even more impatient, thus paralyzing her even more. Motor planning: For some Aspies, contemplating how to physically do something (even something as obvious as stopping what they're already doing) can be a multi-step process. Planning and sequencing that activity may be a bigger job than a count of 3 will allow. Frustration tolerance: If your Aspie seems unable to obey for some reason, it may seem easier to just issue a consequence than to do what's called for. A count of 3 gives your youngster very little time to work through other possibilities. Auditory processing: If your Aspie has trouble processing language, it may take more than a count of 3 for him to figure out what you want done, much less how to accomplish it. Counting to 30 gives your Aspie adequate time to (a) process your request or ask for clarification, (b) transition from what he is doing to a different activity, and (c) deal with frustration without becoming overly anxious. Counting to yourself (rather than out loud) helps your child to be able to focus on the task at hand rather than on your "distracting" voice. You may find that your youngster sometimes needs less than 30, at which point you can provide praise and encouragement. But if your “silent 30 count” is reached and the behavior hasn't changed, you can then issue a consequence. Depending on the situation, you may want to opt for the “0 count” method (that’s right …the ‘zero’ count method). How does that work, you ask? Statements like “take as much time as you need” are powerful in helping the child understand that his behavior determines when he may have the things he wants (in this case, the privilege of spending time with a friend). 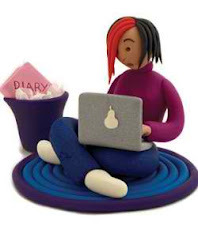 Giving your Aspergers youngster more time to do what you ask may seem like a sign of weakness on your part, but if you have reason to believe that she can't comply in short order, it's not only compassionate - but sensible - to extend the deadline. Your goal, after all, is to have your directions followed. In the end, it's far more time efficient to spend 30 seconds and get what you want, than to spend hours seeing to it that your child follows through with the consequence for non-compliance. The public school hasn't worked for my Aspergers daughter because she wasn't diagnosed until recently, and they didn't know how to work with her. Consequently, her needs weren't met, and their ignorance resulted in what I would call 'abuse'. The school refused to allow her to call home last Monday, and they put her into a room to allow her to compose herself, which terrified her. Now my daughter has a very bad feeling about this school. Intuitively, she believes something terrible is going to happen to her physically if she attends school there. She expressed it was not anxiety like she normally feels ... just her intuition. However, the school is pushing for her to attend and therefore anxiety has kicked in. We attempted yesterday, but when we arrived, she went into meltdown form. She refused to leave the car. She has lost any trust they had previously built with her. She was traumatized and they didn't get it. She feels unheard and disrespected. Also, the event was a trigger from the past school district. Based on their reaction Monday, she feels confident they don't get it and therefore she isn't safe in that environment. She fears she won't be able to protect herself in an environment if she doesn't feel heard. Now she is convinced if she feels unsafe and needs to call home, they will deny her. So, I'm struggling with this issue. I honestly don't know if she has the ability to overcome her fears and do the work required to work through this challenge. We're supposed to meet at the school tomorrow. I doubt I will be able to get my daughter to go with me. Our plan is to sit down and outline our concerns. Honestly, based on their reaction and response to the situation Monday, I don't think they understand the diagnoses and how to deal with her effectively. However, my daughter wants me to withdraw her and home-school. I surrender ... if that is a part of my journey then I'll take it on. However, I just want to be sure that I have exhausted all possibilities and know that this is the right path for her. Any feedback you have would be greatly appreciated. This may not be the answer you were hoping for, but given all that you’ve said, I can say without a doubt that there would not be a better candidate for home-schooling than your daughter. However, you are certainly not alone on this. Growing numbers of parents of children with Aspergers and High-Functioning Autism are citing dissatisfaction with the level of their child's education as the primary reason for homeschooling. Most mothers and fathers in this group have had a child in public and/or private schools, but decided to home-school because of the lack of individual attention, inadequate teaching methods, and declining academic standards, as well as poor school performance by children that excel at home. Also, concerns about school safety have increased in recent years, resulting in an increase in the number of kids who begin home-schooling during the middle and high school years. Home-schooling does not produce angels. Just because you take your daughter out of the current school system does not mean that she is going to immediately change some of her undesirable traits. If you decide that your main reason for home-schooling is because she presents a discipline problem for the teacher, don’t necessarily think that her attitude will change when you teach her. If, for example, she is accustomed to whining and getting her way on the little things around the home, she will not do an about-face just because you are the teacher. You simply may not be able to gain enough control to be able to home-school. Please be realistic about this reality of home-schooling. I know of one mother who was angry with the school because the school always seems to think that her Aspie was involved in any unfortunate incident. The mother, without trying to get to the root of the problem, jerked the youngster out of the school and decided to home-school. There was little if any teaching that took place. The child rode his bicycle seemingly all day while the regular students were in school. The mother was simply too busy with the other kids to make him do his lessons. I tried very hard to help this particular Aspergers child the following year when his mother put him back in public school, but he was not willing to give up the previous freedom that he had enjoyed. His attendance was very sporadic. So, do NOT take on the task of home-schooling as a last resort because you are angry with some teacher or the school system! If you decide to do home-schooling, you need to reduce the amount of time watching TV. This does not mean that the TV must stay off entirely, but you can use some of the evening TV time to enrich your daughter’s reading. It is very healthy for a child to see parents reading at night. Television does not stimulate good reading habits. The youngster needs to see that movies are seldom as good as the book. Former “television time” may be the time that some of the household duties can be done. Some home-schooled children are not required to work on a time frame (not a good idea with Aspergers kids since they crave structure). If your daughter should return to a regular classroom at some point in the future, that teacher does not have "all day" for her to work 5 math problems. (If you home-school, it will be foolish to allow unlimited time - or no time frame - to complete a task. This habit will be carried into the work force when she becomes an adult). Many times the home-schooler can’t cope with the 50-minute class frames that are prevalent in a regular classroom. Another "con" concerning home-schooling is the fact that there is usually a state guideline for home-schooling. Some states require home-schoolers to take a standardized test. Also, your daughter will suffer academically if your commitment is only to teach the subjects that she has an interest in. You must carefully weigh the challenge of time. You may barely have enough time to do what you are already obligated to do. There are going to be days that you are going to feel overwhelmed and wonder if life is passing you by. Home-schooling is a job. The largest "con" for home-schooling is the fact that there is little time for you to “distress.” For example, there is no such thing as "I'll be there in a minute” as you try to talk on the phone. Answering the phone devalues the importance of home-schooling. It is an open invitation to losing control because of the interruption. For many moms and dads, phone calls control their day. Not answering the phone requires a special kind of discipline. It is necessary for the home to have an answering machine (however, the answering machine will not help your school day if you are constantly running to the machine to see who called.) Thus, turn the ringer off if possible during the school day. A fax or an email may work better in some cases. You must be serious about your new job of teaching if you decide to home-school. Once you establish this rule, calls will diminish during school hours. Many Aspergers families enjoy the flexibility that home-schooling provides. The child can learn about things she is interested in and at a time in her life when she is ready to learn (i.e., no preconceived schedule forces her ahead or holds her back). Your daughter will learn about the 'real world' by being a part of it (no artificial settings are needed to 'provide exposure'). She can receive a superior education attuned specifically to her own needs, learning style, personality, and interests (at far less cost than that of a private school). Being allowed to learn at her desired pace with a minimum of stress, your daughter will have the time and space to internalize and use what she learns. 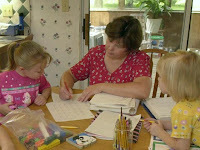 Some home-school programs offer classroom videos that the youngster uses and actually sees a classroom teacher teaching the lesson. This is especially good for Jr. High and High School and for technical subjects such as advanced math. To offset the cost, you may want to consider the fact that your youngster does not need to have such an extensive wardrobe. These savings could apply toward some of the school supplies. You will save money on school clothes, gym clothes, uniforms, or unnecessary school fees. Also, home-schooling families spend a lot amount of time together living, learning and playing. They have the opportunity to develop a depth of understanding and a commitment to the family that is difficult to attain when family members spend their days going in separate directions. Lastly, another nice side benefit to home-schooling is that vacations and other outings can be planned for times when the family is ready - and often when the crowds are smaller or the costs are lower. Good luck in your decision making process! * Anonymous said... We are in our third year of homeschooling our 11 year old son. Our only regret is that we allowed him to be abused and ignored by the school system as long as we did. Homeschooling is not for everyone and it is not easy, but I can honestly say that the worst day homeschooling is better than our best day in public school. My son thanks me quite frequently for homeschooling him and tells me now how horrible his experience in school was. I decided I could waste all of my energy and resources on fighting an educational system that was not trustworthy and did not really care for my child and ultimately get no where, or I could take that energy and passion for helping my child succeed and put it into homeschooling. We knew what our son needed and were weary of trying to force the school to provide that. The improvements we have seen in our lives are nothing short of miraculous. We are so grateful we took the road less traveled, it has made all the difference in our lives. Best of wishes to you and your family for better days ahead. If you've ever worked at a museum, lab or university, you'll find worlds full of single-minded, passionate individuals. To an academic, their area of interest, no matter how small, is desperately interesting. The same is true of museum professionals and archaeologists, who spend their lives studying individual artifacts, bones or textiles. It's a common trait among Aspergers (high functioning autistic) individuals: they see the parts instead of the whole. It's a problem in some settings, but a terrific attribute if you're looking for deep space anomalies (e.g., as an astronomer), unique cells (e.g., as a lab technician), differences among species (e.g., as a biological researcher), or particular qualities of objects (e.g., as a gemologist, antiques appraiser, or art historian). This trait may not get you invited to the prom. But it's a wonderful attribute if you're a forest ranger, a self-employed writer or artist, a caretaker at an estate, a gardener or horticulturalist, or even a paleontologist (i.e., dinosaur scientist). After all, lack of interest in other individuals is not indicative of lack of interest in or ability to manage things, animals, or systems. And it's not easy to find a qualified person who's willing to spend extended periods on their own. In a typical workplace, most individuals bend and break the rules. 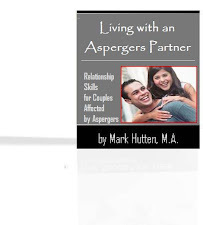 This is very tough for many Aspergers individuals, who need and respond to structure. But there are plenty of work places in which rules are absolute -- for everyone. Of course, the most obvious choice for rule-oriented individuals is the military. But even in hospitals and labs, rule-following is not only important -- it's critical. Q: Since when have passion, meticulous attention to detail, and lack of interest in office gossip been problems in the workplace? A: Since the workplace was defined as a 9-5 social setting! It's true that offices -- and the stock rooms at Wal-Mart -- are "typical" work settings. But Aspergers individuals aren't typical. And neither are the careers for which they're ALREADY good candidates. Some Aspergers individuals can, with virtually no effort, envision a 2-dimensional photograph as a 3-dimensional object. With appropriate training, such individuals are ideal candidates for jobs in areas like CAD (computer aided design), architectural model construction, industrial design, exhibit prototyping, and much more. The key is finding and supporting the training that can lead to such careers. We recently received a diagnosis of Asperger Syndrome (or high-functioning autism) on our 7-year-old son. My husband is not doing so well with this recent news. Is there any way to lessen the blow to his disappointment? Realize that you are not alone in this and that your feelings (which run the gamut from fear, to guilt, to anger, to depression, etc.) are just the symptoms of a broken heart. So go ahead and look at your grief. Observe your thoughts and feelings. Accept them and be kind to yourself about having them. It doesn’t help to pretend to be positive when underneath you may be lonely, afraid, or sad. You can grieve. You can complain. You can mourn. This helps you to go on, make the best of the situation, and enjoy life. It is natural to wonder about what might have been. The longing for the “normal” youngster of your dreams - or a typical life for you and your family - may endure. You have to learn to live with that yearning, and you can do that, but you don’t have to lie to yourself about how hard this can be. It takes time to heal a confused and broken heart, and the difficulties that you must cope with everyday are nearly constant reminders and may trigger your grief over and over. Try to accept yourself as you are—a kind and loving father doing your best with your Aspergers youngster who is undoubtedly doing his best under trying conditions. A perfectly lovely youngster with special needs can be very hard to be with because of his behavioral, social, or communication issues. But people often believe that when you love somebody, you love to be with them. When you don’t feel that and think you should, the guilt can be unbearable, and your heart aches. As you can accept yourself in a kind and compassionate way, your heart heals, and then the grief lightens. The sun comes out, and change is more likely. Accepting our pain - and ourselves - leads to accepting and enjoying our Aspergers kids – and our family. This is the gateway to love and happiness. That deep connection that a father feels with a newborn, or a youngster’s first steps, or first words can be felt at any moment when we are truly aware and attuned to our Aspergers youngster. That deep connection is alive inside you. As you rekindle it, you can actually experience very deep happiness. That’s not to say that your life will be easy. But it can be happy and fulfilling. What Your Physician Hasn't Told You About Vaccinations Could Put Your Youngster at Risk for Autism, Asthma, Allergies, Diabetes or Cancer. Get the Medical Facts About Vaccine Dangers Before You Take Any Steps to Vaccinate Your Son or Daughter! Do you have doubts whether vaccines can really protect your youngster from illness or disease? Do you worry that your youngster could become autistic, or develop asthma, allergies or even a fatal disease, like Sudden Infant Death syndrome? These are not theories. Millions of American kids have these conditions today. Yet most other countries on earth recommend less than half the vaccines we do. What you're about to read may come as a shock. It did for me when I first began to research vaccines and their effect on the body over a decade ago. Hundreds of hours of digging into the medical literature and checking the facts compelled me to speak out. Much of what I discovered was in conflict with the way most of us are taught to care for our kids. Let's face it — most moms and dads agree to have their newborn youngster vaccinated and believe it is the right thing to do. It's what their moms and dads did, and it's what their physicians recommend. Once they start, the youngster goes on to receive numerous vaccinations year after year, up through their teens. All the while you, the parent, continue to think you're doing the right thing. Well, as it turns out, it's often a mistake. What you'll see when you peek behind the curtain of the multi-billion dollar drug and vaccine cartels should scare the life out of you, because your youngster is being put in harm's way more than you are being told. Such an assignment should include considerable thinking, learning, and dialogue with moms and dads, rather than simply writing a certain number of words without much independent thought. This is not to be confused with passivity, avoiding conflict, letting the Aspergers youngster "do whatever they want," inconsistently enforcing expectations or other methods that don't work. If there is something they can do to get the privilege(s) reinstated sooner, that should also be clearly explained. Note: this requires more thought and explanation than simply saying, "You’re grounded." 5. A regular bed time at a reasonable hour is more important than ever, if you can put/keep it in place. Regular routines of all kinds—familiar foods, rituals, vacations—are reassuring when the adolescent’s body, biochemistry, and social scene are changing so fast. 6. Teaching Alternatives - A good way to teach the Aspergers teen personal responsibility is to spend time brainstorming together about all the possible responses, and predicting the reactions to each response. Instead of telling them what to do and what not to do (which can elicit dependency or oppositional responses), it is useful to spend time exploring different options. For example, instead of saying, "Don't say that to your father" …it is better to say something like, "That's one way you could handle it. How do you think he would respond to that?" … "Is that the response you want from him?" … "How else might you phrase that idea?" …etc. If they have trouble coming up with alternatives, you can help out by saying, "Do you want to know what some other people have tried?" 7. Establish verbal codes or gestures to convey that one or both parties need a time out: a chance to cool down before continuing a difficult discussion at a later time. 8. Substitution - It is never enough to tell teens what they can't do or what behaviors they must stop doing. We must always add what they CAN do instead. Some examples might be ideas such as, "You cannot hit your classmate when you are angry, but you can go for a brisk walk, write in your journal, talk about how you feel, etc." The goal is to replace or substitute an unacceptable behavior with one that is acceptable and still meets the same need. The message should always be, "Your needs and feelings are normal and okay and we are here to help you express them in ways that will allow you to be successful and responsible." 9. Go with the flow of your Aspergers youngster’s nature. Simplify schedules and routines, streamline possessions and furnishings. If your adolescent only likes plain T shirts without collars or buttons, buy plain T shirts. If your kid likes familiar foods, or has a favorite restaurant, indulge her. To ask for all of that from someone who has never done it before, or who is shy, is asking too much. So at first they would be rewarded if they momentarily stopped what they were doing when someone new cam in. After a few times they would need to stop what they were doing, stand up and look in the direction of the visitor in order to be praised, and so on. In other words new skills are not all or nothing but are a series of steps to be learned. 11. Sequencing - Desirable behaviors can be used as motivating for less desirable ones. For example, "You may watch one hour of approved TV as soon as your book report is satisfactorily completed" –or- "You may make that phone call as soon as you have finished cleaning up the kitchen." This type of statement helps the mother/father avoid power struggles because they did not say, "no." It puts the struggle and control back with the Aspergers youngster, where it belongs. They can then choose whether or not they will watch TV today and when (within limits). A version of this can be re-stated calmly and compassionately as often as necessary while the Aspie struggles with their choice. 12. Have realistic, modest goals for what the adolescent or the family can accomplish in a give time period. You may need to postpone some plans for career goals, trips, culture or recreation. 13. Some Aspergers adolescents adjust o.k. to middle/high school with appropriate supports and accommodations, Others, however, just cannot handle a large, impersonal high school. You may need to hire an advocate or lawyer to negotiate with your school system to pay for an alternative school placement, tuition, and transportation. 14. Role Playing/Rehearsing - This technique can be used to practice for an upcoming situation that may be difficult, foreign or anxiety producing or to re-create a situation that already occurred to experience alternative responses. Examples should include role-playing a situation in which the Aspergers teen was angry and became physically or emotionally abusive, or one in which they demanded or sulked instead of negotiating. The purpose of the role-play is to practice more acceptable styles of self-expression while still making their intended point. Practicing of this sort will make the desired responses more likely in future similar situations. Role playing can also be used to practice saying something that is difficult or anticipating a variety of responses in order to reduce anxiety. 15. If you can afford it, you may prefer to pay private school tuition rather than paying a lawyer to negotiate with a financially strapped or resistant school system. However, a private school may not be the best choice. Some families move to a community with a better high school. Residential schools may be worth considering for some. The right fit can build tremendous confidence for the adolescent, give the parents a break, and prepare everyone for the independence of the post high school years. 16. Role Modeling - Most of what kids learn from grown-ups comes from simply observing. All moms and dads are role models to their kids and need to be very conscious of their own behavior. Kids are astute observers of how we treat them, how we relate to each other and how we take care of ourselves. 17. Impersonal, written communication is easier for the adolescent to absorb (e.g., lists of routines and rules, notes, charts, or calendars). E-mail may become a new option. 18. Your Teen's Rights - Food, clothing, therapy, medical attention, education, spiritual activities are NEVER withheld as a consequence. Privileges (e.g., television, telephone, radio, some activities, free time, visiting with friends, hobbies, walking around the grounds, etc.) may be temporarily withheld as logical consequences and can be powerful incentives for some adolescents. 19. Aspergers teens need structure, down time, soothing activities, and preparation for transitions. 20. Rewarding/Reinforcing - Rewarding positive behavior is the best way to ensure its continuation. A common error in parenting is to spend so much time and energy dealing with crises and negative behaviors that kids who are being responsible can either get "lost" or are tempted to act less responsible to become part of the action. Rewards can take many forms from simple a comment: "I noticed that you..." or "I really appreciated it when you..." to special time and attention or more concrete things such as a special treat or privilege. For every negative interaction the Aspergers teen experiences, it takes four positive interaction to overcome the effects. Moms and dads need to be very deliberate about maintaining at least a 4:1 ratio of positive to negative interactions every day with every teenager. 21. 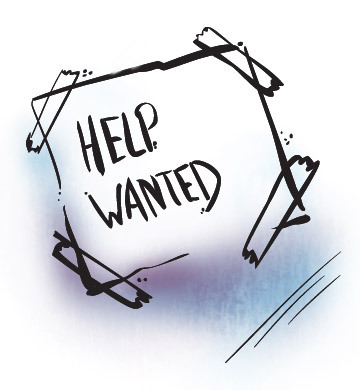 Look for volunteer activities or part time jobs at the high school or in the community. Be persistent in asking the school to provide help in the areas of career assessment, job readiness skills, and internships or volunteer opportunities. They probably have such services for intellectually challenged adolescents, but may not realize our teens need that help, too. They may also not know how to adapt existing programs to meet our teens’ needs. 22. Requesting - When there is a good relationship between the mother/father and youngster, a simple request to do, or stop doing, something or a re-stating of the expectations is often enough. If over-used, however, it may become less effective, may be experienced by the Aspergers youngster as overly controlling, or can slow the process of responsible growth and decision-making skills. Example: "We don't use that type of language here, could you please find a different word?" 23. Make sure thorough neuropsychiatric re-evaluations are performed every three years. 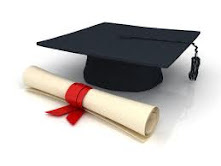 This information and documentation may be critical in securing appropriate services, alternative school placements, transition plans, choosing an appropriate college or other post secondary program, and proving eligibility for services and benefits as an adult. 24. 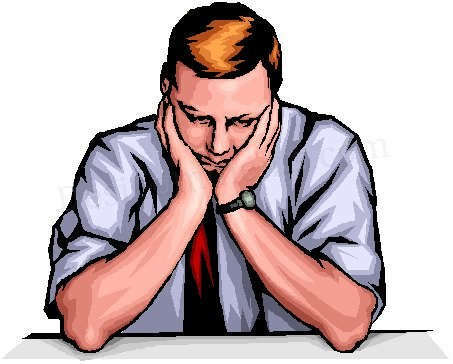 Refocus - A defiant teen may be asked to spend time thinking about something (e.g., a recent run-away or self mutilation) and express their feelings and thoughts in some way. This could be writing, poetry, drawing, etc. Whatever format is used, it then needs to be processed with the adolescent. They can then be assisted in identifying early clues and practicing alternative responses. The purpose of this type of activity is to encourage thinking, self-awareness, communication, and planning for different choices in the future. 25. Schedule regular monthly educational team meetings to (a) monitor your adolescent’s progress and (b) ensure that the IEP is being faithfully carried out (and to modify it if necessary). Because adolescents can be so volatile or fragile, and because so many important things must be accomplished in four short years of high school, these meetings are critical. 26. Side by side conversations (e.g., walking, in the car) may be more comfortable for the adolescent than talking face to face. 27. Special interests may change, but whatever the current one is, it remains an important font of motivation, pleasure, relaxation, and reassurance for the adolescent. 28. Redirecting - Commonly used with younger defiant kids or those with short attention spans, this technique simply stops one behavior by substituting another or diverting the attention of the Aspergers teen or group to a different subject or activity. 29. Teach laundry and other self-care/home care skills by small steps over time. Try to get the adolescent to take an elective such as cooking or personal finance at the high school. 30. Pre-Teaching - It is easier to prevent negative behaviors than to deal with them after they occur. A very effective tool is to pre-teach behavior prior to an event or potentially vulnerable situation. This involves talking with the person or group in detail about what will be happening, why, and what their role and expected behaviors will be. Pre-teaching reduces anxiety, clarifies expectations, builds confidence, sets up success, and can add to the fun of anticipating an event. 31. Physical Proximity - Sometimes a defiant Aspie who is beginning to become anxious, irritable or overly active will be calmed down by eye contact, a special "look" or signal, moving next to them or a reassuring hand on the arm or shoulder. Along with physical proximity it is important to be calm and reassuring. 32. Observing and Commenting - A mother/father may choose to comment on a behavior in a non-threatening, non-judgmental way to bring it to the attention of the Aspergers youngster. This may be new information for the Aspergers teen to think about. What they choose to do with that feedback will provide further opportunities for discussion and teaching. For example, "I notice you tend to be critical of others when they are taking about a success" –or- "You seem to only break the rules when you are in a group" etc. 33. Tell your adolescent just what s/he needs to know – one message at a time – concisely. 34. Natural Consequences - Sometimes consequences occur through the natural course of events (e.g., a teen coming home late from school and missing a phone call from a friend). If the natural course of events makes an impact by teaching a lesson, moms and dads need not intervene further. They can be sympathetic to the Aspergers teen's plight (this must be genuine however, and never patronizing or sarcastic). 35. Logical Consequences - Logical consequences may be necessary when no natural one occurs, or when the natural one is insufficient to make a change in future behavior. An example would be a defiant teen causing a disturbance at an event, not being allowed to attend the next one. 36. Ignoring Behavior - Moms and dads may consciously decide to ignore certain behaviors of their defiant adolescent at times in an effort to extinguish the behavior by not reacting to it. The behavior may be inconsequential, may be designed just to "get a reaction," or may be masking another, more important, issue which is what really needs attention. Ignoring a behavior should not stop communication or relationship building. It is a specific behavior that is being ignored, not the person. Examples might include using certain words, attempts to provoke or annoy moms and dads, making personal comment to or about moms and dads, saying "I won't" or "you can't make me," etc. 37. Encouraging/Coaching - Encouragement, praise, and coaching are all effective ways to make pro-social behaviors more likely and more frequent. The stronger the relationship between mother/father and a given youngster, the more powerful this method becomes. A mother/father who is angry with an Aspergers teen should calm down before deciding a consequence, and if applicable, should consult with the other parent before doing so. Consequences are given to help teenagers establish boundaries. Consequences are more effective when discussed matter-of-factly from a caring and controlled point of view. Consequences should be clearly explained, related to the behavior, and completed as soon as possible. Moms and dads should regularly discuss the effectiveness of consequences for the specific teen and should always support each other in the positive discipline process. 39. 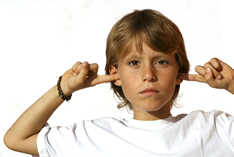 Active Listening - Some “Aspergers-related” behaviors are bids for attention or expressions of frustration at not feeling understood. Moms and dads can reduce problem behaviors when each defiant youngster feels genuinely cared about, understood, and paid attention to. Active listening is hard work and takes energy and practice. It cannot be done when thinking about or attending to other things, or when distractions occur. Active listening need not last a long time, but attention must be focused completely on the Aspergers teen and the message must be communicated back to them in the listeners own words in a way that lets them know they really were heard. 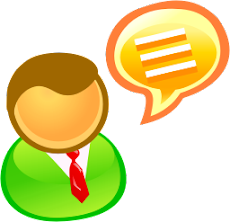 Body language, facial expressions, tone of voice, eye contact, respect for personal space, and choices of words are all important in communicating the desired message. It may take two or three attempts to really understand the message, and that is okay, as long as it is finally understood accurately and that is clearly demonstrated. A few brief exchanges of this sort for each youngster every day are necessary. 40. Patience – Your Aspergers teen has this thing called “mindblindness.” In other words, he may not understand some of the social norms that other children and teens learn automatically. Thus, be able to distinguish between “misbehavior” (which is intentional) and “Aspergers-related” behavior (which is never intentional).